The more gene mutations hidden inside your cancerous tumor, "the better chance your immune system has to fight back." That's what Lauren Neergaard, an Associated Press medical writer, wrote recently after a newly approved landmark drug became "the first cancer therapy ever cleared [by the Food and Drug Administration] based on a tumor's genetics instead of the body part it struck first." Keytruda, an immunotherapy, apparently might help those whose disease is among those with a common genetic flaw — called a mismatch repair defect — carried by seemingly unrelated cancers. Genetic testing can show if a patient is a candidate for the precision immunotherapy. Neergaard's story indicates that Johns Hopkins researchers estimate "about 4 percent of cancers are mismatch repair-deficient, potentially adding up to 60,000 patients a year." Widely available tests to tell who's eligible for the immunotherapy cost between $300 and $600. The flaw, Neergaard's article says, "is more common in colon, endometrial and gastrointestinal cancers but occasionally in a list of others." According to Dr. Bert Vogelstein, a cancer geneticist at Johns Hopkins, where the new use for the immunotherapy was discovered, the more mutations in a tumor, the greater the chance that at least one of them produces a foreign-looking protein that is a beacon for immune cells." 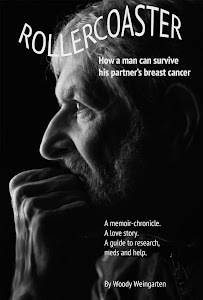 More information on cancer research is contained in "Rollercoaster: How a man can survive his partner's breast cancer," a VitalityPress book I, Woody Weingarten, aimed at male caregivers. An FDA panel has given a unanimous vote of confidence to a gene-altering leukemia therapy. According to a story by Denise Grady in The New York Times today, the Food and Drug Administration panel has unanimously recommended, following successful clinical trials, that "the agency approve the first-ever treatment that genetically alters a patient's own cells to fight [lethal] leukemia, transforming them into what scientists call 'a living drug' that powerfully bolsters the immune system to shut down the disease." 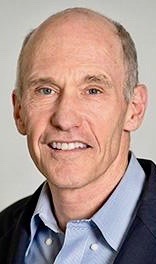 The agency is likely to accept the recommendation, Grady's story indicates, an action that would make Novartis' experimental treatment the first gene therapy to reach the market — ending in September a decades-long competition by researchers and drug companies. "To use the treatment," the article continues, "a separate treatment must be created for each patient" — at enormous cost: between $300,000 and $600,000 for the requisite single infusion, according to analysts. The CAR T-cell technique has multiple steps: Cells removed from the patient must be frozen, thawed and processed at a plant run by the manufacturer, frozen again and shipped back to the treatment center. Severe side effects — including "fever, crashing blood pressure, lung congestion" — can potentially be life-threatening, but scores of patients have experienced long remissions and, in some cases, possible cures, the Times story maintained. On the other hand, "re-engineering cells for treatment sometimes take four months," it noted, leaving some patients "so sick that they died before their cells came back." Dr. Carl H. June, an immunology professor and leader of the University of Pennsylvania research team that developed the treatment and licensed it to Novartis, has labeled the altered cells "serial killers." One cell purportedly can destroy up to 100,000 cancer cells. The panel's recommendation specifically dealt with leukemia "that has resisted treatment, or relapsed, in children and young adults ages 3 to 25" — for patients who typically had a bleak prognosis. The clinical trials, according to a story by Laurie McKinley in The Washington Post yesterday, took place "in almost a dozen countries," with results of 83 percent of patients going into remission. 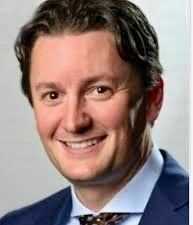 That story also indicated that "researchers are exploring CAR T-cell therapy's use for multiple myeloma and chronic lymphocytic leukemia [and] are also tackling a far more difficult challenge — using the therapy for solid tumors in the lungs or brain." 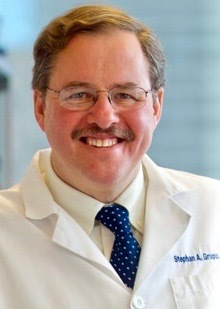 Meanwhile, Dr. Stephen Schuster, a Penn oncologist and leader of a lymphoma study, is quoted by the Post as saying, "We're saving patients who three or four years ago we were at our wit's end trying to keep alive." 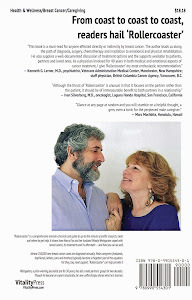 Details on a variety of cancer therapies can be found in "Rollercoaster: How a man can survive his partner's breast cancer," a VitalityPress book I, Woody Weingarten, aimed at male caregivers. Turning your own blood into cancer killers may now be possible. According to a new study reported recently by the Associated Press, more than a third of very sick lymphoma patients showed no sign of the blood cancer six months after a single treatment of an experimental gene therapy. Findings of the study, the story by Marilynn Marchione indicated, were made by the treatment's maker, California-based Kite Pharma, which purportedly "is racing Novartis AG to become the first to win approval of the treatment, called CAR-T cell therapy," in the United States. The treatment could become the nation's first approved gene therapy, the AP article indicated. Side effects appear to be manageable. There are risks involved, of course. "Three of the 101 patients in the study died of causes unrelated to worsening of their cancer," the story said, "and two of those deaths were deemed due to the treatment," which was developed at the National Cancer Institute and licensed to Kite. 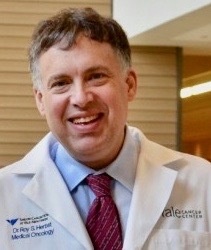 One independent expert, Dr. Roy Herbst, cancer medicines chief at the Yale Cancer Center, was quoted as calling the results "extraordinary" and "extremely encouraging." He suggested, though, that follow-up studies were needed to make sure the benefit doesn't wane over a longer period of time. New research and treatments are an integral part of "Rollercoaster: How a man can survive his partner's breast cancer," a VitalityPress book I, Woody Weingarten, aimed at male caregivers.